This is the perfect tote, it is ideal for those trips to the beach but you can use it everytime even to go to the market and forget about use those useless plastic bags. It measures 22"Wx13"H and 11.5"W at the bottom, with the handles "28H in total from seam to seam. Made from 100 percent cotton. HIGHEST QUALITY FEATURES: Made from 100% cotton. It measures 22"W (11.5"W at the bottom)x13"H (with the handles 28"H). The 10oz beach tote is sufficiently broad to carry all you need. 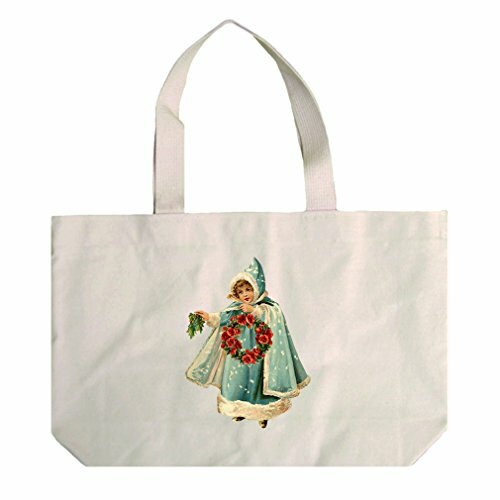 GREAT GIFT IDEA: This is not only a beach bag; you can use it for every occasion. This is the perfect companion for moms that need to carry everything for the kids. Use the tote as a market bag and forget to use plastic bags. Our Style in Print designs are the perfect combination to persoalize your totes. GOING GREEN: Eco-friendly. This bag is created with a thick cotton canvas and a nice design. Cotton canvas is a natural washable fiber, not only will you get rid of those useless plastic bags, but also you can easily wash the bag and make it look like new.